Another day, another daily deals roundup. Today, we have put together a bunch of TV deals available on Flipkart right now. The latest generation smart TVs are quite impressive as they offer a bunch of features to buyers. 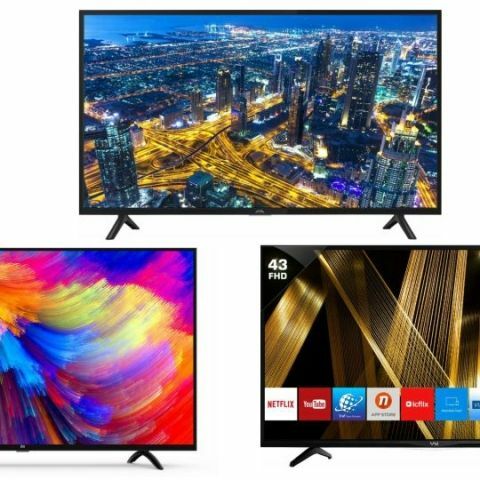 Today, Flipkart has some great deals on smart TVs that are from brands like Vu, LG, and more. The IFFALCON F2 FHD LED Smart TV offers a resolution of 1920 x 1080 pixels with a panel size of 40-inches. The smart TV comes with a built-in Wi-Fi that lets you connect the TV to your home network and download apps like Netflix, Youtube and more. It also has a Micro Dimming function, which analyzes the content you’re watching on TV and adjust brightness and darkness level automatically to provide an enhanced quality. Not just that, it also comes with a screen mirroring feature that lets you watch the content of your mobile phone on a bigger screen. Click here to buy. The Vu Premium Smart 43-inch Full HD LED Smart TV offers a resolution of 1920 x 1080 pixels. The TV comes with Premium Smart OS app that allows you to download a wide range of apps such as Netflix, Hotstar and more. The screen mirroring feature of this TV also lets you mirror your smartphone screen on a bigger screen. Click here to buy. The LG UHD 43-inch 4K LED Smart TV offers a built-in WiFi, which lets you connect the TV to your home network and download apps like Netflix, Youtube and more. The TV comes with a Magic Remote that works as a mouse while you searching for apps or a movie. You can also control any connected device to your TV through this Magic Remote. Click here to buy. The Mi LED 43-inch Smart TV 4A features a full HD LED display with a resolution of 1920 x 1080 pixels. As it is a smart TV, you can download and access apps like Netflix, Youtube, Hotstar and more on the TV. It also has a screen mirroring function that lets you watch your smartphone content on a bigger screen. Click here to buy. The CloudWalker 50-inch Full HD LED Smart TV offers a resolution of 1920 x 1080 pixels. The TV features a built-in Dolby surround sound audio and also comes with a Screen Shift function that lets you watch DTH content and apps on the same screen. Users can download a variety of apps on the TV such as Netflix, Youtube, Hotstar and more. Click here to buy.